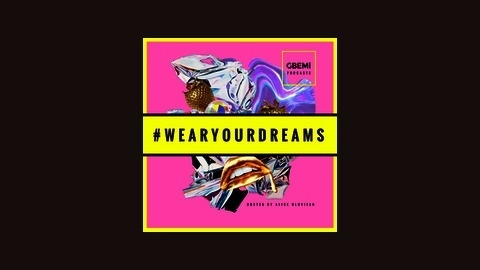 #WearYourDreams is a new weekly show where Alice Oluyitan creative director of the fashion brand GBEMi speaks to entrepreneurs who are #CREATIVEGIRLS, #FASHIONGIRLS and #MILLIONAIREGIRLS about their journeys to success. The show offers tips, advice, motivation and inspiration for girl Boss's and businesswomen with big dreams! Each episode will inspire you to live the life you dream of whilst also getting practical, actionable advice to get you closer to your dream life and starting the business that you dream of! SE 2: 9:- Chiara Totire - #FASHIONGIRL: From Pharmacy to VOGUE!! SE 2: 8:- Sharmadean Reid - #CREATIVEGIRL: How to have an EPIC launch and Build the COOLEST Nail Brand in Britain! SE 2: 7:- Allia Al Rufai - #FASHIONGIRL: Self taught fashion stylist is India's most sort after Fashion Influencer! SE2: 6:- Debbie Shasanya- #FASHIONGIRL: How to have the courage to leave your boring "comfortable" job to pursue your dream fashion career!! 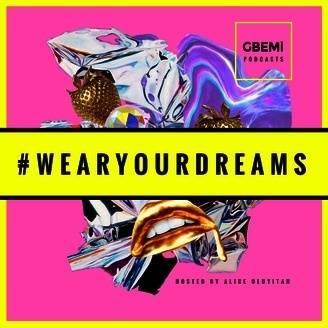 SE 2: 5:- Chelsea Matthews - #CREATIVEGIRL: How to quit your 9-5 job and start a creative marketing firm in LA and London!